At CASS Industries we moved it from our old site to our new site, over a year ago, yes this post has been sat ‘in draft’ almost that long! While we were moving it across, we added the additional KX-T30865 Door phone card, (The building had a Videx DK8K-1/2 Door Intercom and Key Pad). The KX-T30865 Door phone card has only been half set up (we can answer the door from any phone now, but we can’t remotely open it). The Front door now also has a CCTV camera pointed at it, which can be viewed from any computer on the network via VLC. The KX-TES824 PBX seems to be similar to two other models; the TEA308 and the TEM824. Here you can find Panasonic PBX driver for KX-TDA,KX-TVM, and the KX-TE. 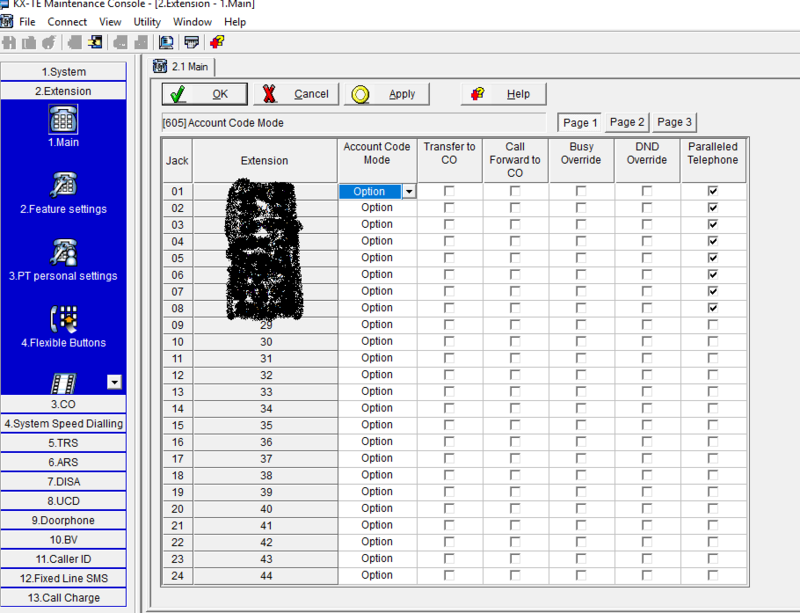 KX TE Maintenance Console V3.0 (Supported operating systems : Windows 98, ME, 2000, XP, 2003, 7, 32 and 64 bit). The Videx handsets (Art.3011) manual is far far from useful, however the DK8K-1/2 Digiphone Kit manual is more use. 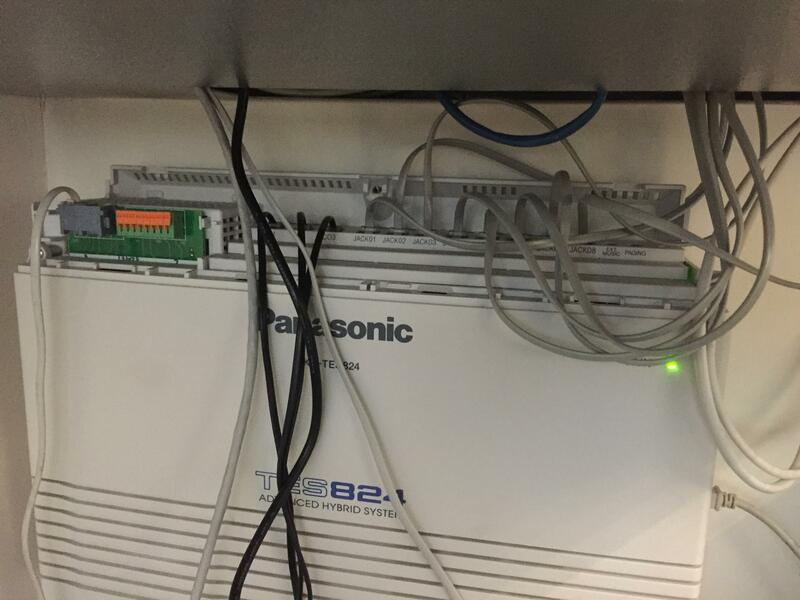 Hopefully with this information I will be able to get the Panasonic working at the new site, working with the door phone, and rather than wire it all a new, use the existing infrastructure wiring to simplify my install. 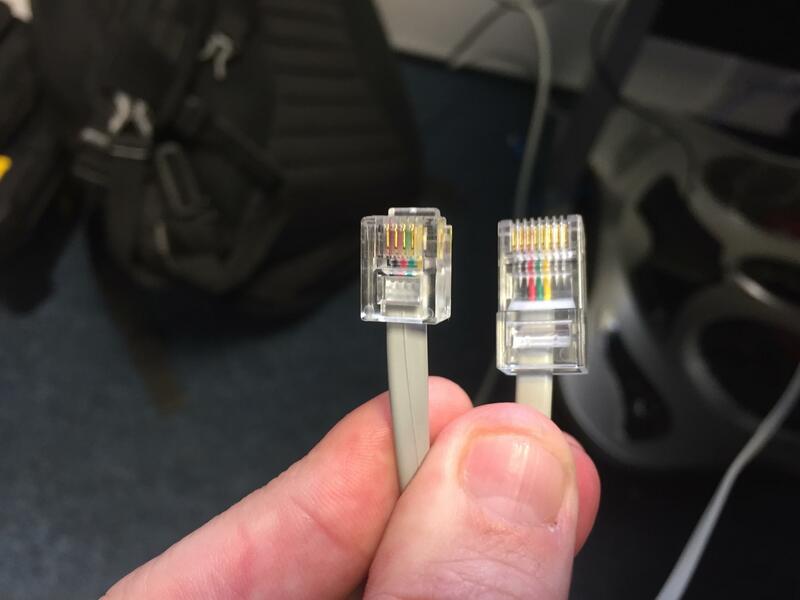 The new building is mostly wired for Ethernet, so rather than install phone cables I plan to use RJ11 to RJ45 patch cables where possible. these are easy to make with a tool set like this one, I have chosen to use RJ11 pins 1,2,3 and 4 to RJ45 pins 1,2,3 and 4. The four wires allows me to use either Panasonic propitiatory phones, or normal handsets on the lines. we have 2 x KX-T7050E (one on my desk, and one on KatBat‘s), and one with a screen (Not near my desk). the KX-T7050Es are a nice phone to have as they have status LEDs (KX-T7050E User Guide), the Third lives with my boss. A proprietary telephone can be connected in parallel with a single-line telephone. This means both the multi-line proprietary telephone and the single-line telephone are the same extension number and thus cannot be used at the same time. 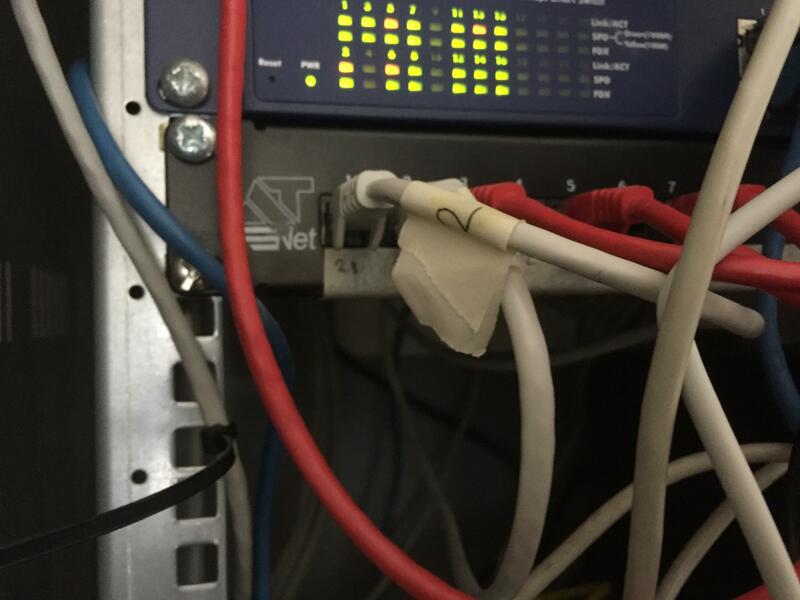 Hopefully this post may be useful to some one else who has to build out a phone system in a wired building.